Menarock Life Murrayvale, situated on the New South Wales and Victorian border, is a modern, purpose-built high level aged care facility and is fitted with an automatic sprinkler system, which is maintained in accordance with Fire Safety Regulations and Standards. We have 50 bedrooms, divided into 16 single and 17 double rooms. Each bedroom has a fully appointed ensuite, built in robes, ducted heating, evaporative cooling, telephone and television outlets and emergency call system. All bedrooms are serviced daily with linen provided. Our home is fully secured for our residents’ safety while still enabling access to our private courtyard gardens, meeting areas and a secured dementia walk garden with bus stop and water fountain. Residents are encouraged as far as possible to maintain their independence, social and personal interests. Choice of medical practitioner or specialist is encouraged. Medication, nutrition, dietary and personal care needs are carefully supervised. 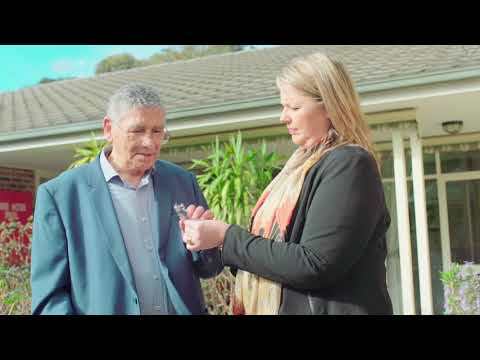 Menarock Life Murrayvale welcomes input from each resident, as it is their home. Residents' Committee meets regularly and members and visitors are always welcome. Our long term staff are dedicated professionals who are fully qualified to meet the residents’ personal and clinical care needs, many of whom have been there since the facility opened in 1982. They are trained to deliver the best service with qualified Personal Carers and a Registered Nurse, 24 hours a day, every day, with a special understanding of the needs of the aged. An integral part of our care is to develop individual care plans which provide a holistic team approach. The care plans are regularly reviewed to meet the needs of each resident assisting in the care of the resident’s mental, spiritual and physical wellbeing, giving our carers a sense of achievement and satisfaction. Our trained Chefs provide delicious varied menus with fresh selections each day. A qualified Dietitian also ensures that the specific nutritional needs of our residents are met, including religious and cultural requirements. Special requests and celebrations are all catered for along with special occasions. Activities, recreation and therapeutic programs including exercises, crafts, movies, videos, readings, special events and outings are catered to the residents’ personal interests. Menarock Life Murrayvale offers visiting Hairdresser, Podiatrist, Physiotherapist, Pharmacist and arrangements for newspaper deliveries upon request.